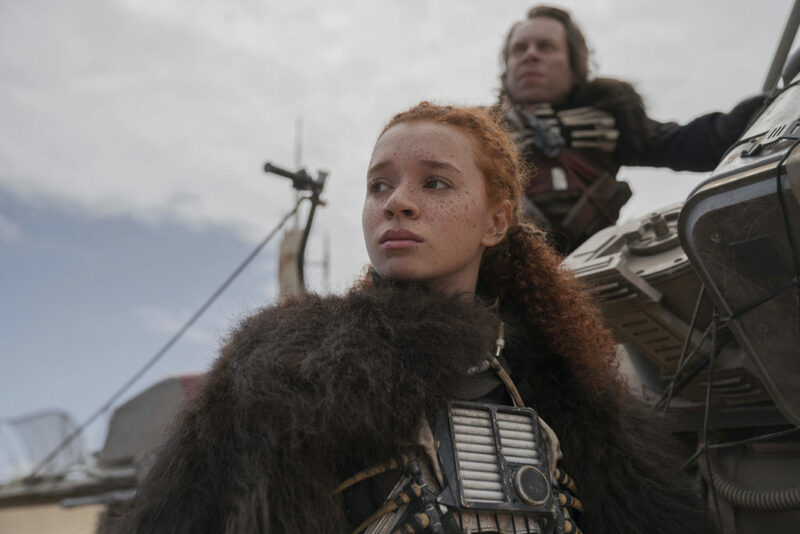 One of the stars of Solo: A Star Wars Story that we had heard nothing from since the film's release was Erin Kellyman, who played the marauder/rebel Enfys Nest. StarWars.com finally rectified that this week, when senior writer and editor Dan Brooks sat down with Kellyman to discuss her experience working on Solo, as well as what it is like to be a part of the Star Wars galaxy. "I went to a set of three auditions for the role. The first one I thought I had completely messed up, so when I got a call I was so surprised — but also so determined, as I knew I hadn’t done my best in the first round, so I wanted prove myself in the next two. It was on the last audition where I met Alden [Ehrenreich] and we did a screen test together. I also had to be tested on how well I can fight, so I went through some stunt tests just before my audition with Alden. I gave it my all in both the stunts and the audition, so I knew if I didn’t get it that I couldn’t have done any more. But I was still so shocked when I got the role. It took a while for the news to sink in, and it wasn’t until I was actually in Pinewood and I saw some of the sets that it started to feel real." "That was me on the swoop bike! That was all done on a blue screen and we were on a rig that controlled the movements. I also did all of the stunts with the mask off, other than the big jump, I only did half of that. That was split into two because it was so high, so my stunt double, Casey Michaels, is seen from behind, jumping from the top onto a green box, and then I did the jump from the green box to the floor." "I am honored to be a part of Star Wars. I think anything that has the ability to excite kids as young as four and adults that watched the very first ones when they came out, is something very special — I am so lucky to be a part of this story, and to play someone that’s as badass and complex as Enfys Nest." Solo: A Star Wars Story is now available to own on blu-ray, DVD, 4K Ultra, and as a digital download!